Senator Tom Coburn just kicked down the door into the debt ceiling debate packing serious heat: a $9 trillion caliber plan to cut the deficit by attacking every special interest group in the United States. Farmers, old folks, teachers, unions, students, corporations, and even veterans: nobody is safe from the Coburn cuts. By fusing almost every unpopular proposal in the debate thus far—from raising the Medicare age to flaunting Grover Norquist and his tax apostles—the senator is probably trying some kind of sum-of-all-fears strategy. Perhaps he hopes to provide the stalled Congress with a dramatic kick in the pants; tough compromises might seem more palatable in comparison to his Mad-Max-esque proposal. The problem is, with the GOP now falling in line behind a crazy Balanced Budget Amendment, Coburn looks less like a go-it-alone maverick than the latest in a parade of horribles. He’s at risk of being lumped in with loonies. This is unfortunate, because unlike the rest of his party, he probably isn’t just using the debt ceiling for political hostage holding. The man has always been a genuine deficit hawk. He voted against the war in Iraq, co-sponsored anti-earmark legislation with Obama and McCain, and, in 2010, took on defense spending and ethanol subsidies. He may be wrong to gum up the debt ceiling debate with his dystopian proposal — but at least he’s honestly, sincerely, non-cravenly wrong. 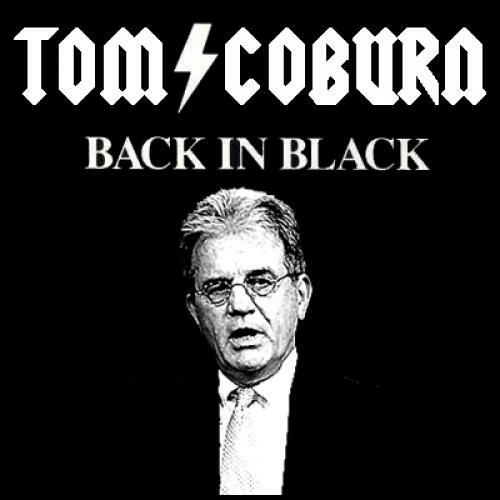 And his plan also has the most hard rockin’, show stoppin’, heart breakin’ name ever proposed for a piece of budget legislation: “Back in Black.” See below for video from Coburn’s press conference announcing the plan. Senator Coburn's message is clear: "I'm back on the track and I'm leadin' the pack ... don't try to push your luck, just get out of my way."